Welcome to this website. It is a tributary of the big river of dharma linked with the simplybeing.co.uk website of the teachings of James Low and C.R.Lama. You are invited to jump into the water, and as you splash, know that the droplets’ sun-glint rainbows are aspects of yourself. There are infinite aspects to the dharma and if this does not speak to your current condition may you quickly find a stream to suit you… and if this stream and river should help you find your own way then any merit arising is dedicated to the welfare of all sentient beings. Whichever way you go… the very best of luck! 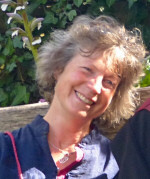 Based near Exeter, and teaching buddhism and dzogchen, Wendy is a disciple of James Low and a teacher in the lineage of James Low and C. R. Lama. This website contains some information and also bits and pieces… looking at the world through different dharma lenses including dzogchen. If you would like to develop a greater understanding of the dzogchen view then one way to go would be to work your way through the Macclesfield talks on the audio section of the simplybeing.co.uk website, slowly allowing it to permeate through and through as the view is expounded. Here is a list of links to the audios and videos currently available in this set of teachings. Evening time meditating in the graveyard Birds, bats, thoughts flitting Father-in-law dying shimmerings of the infinite the shift to con-fusion with false identities It’s when, it’s when, and only when see… and stop the conning and the fusion and then, and then, and only then we feel ourselves at-oned, at home again.